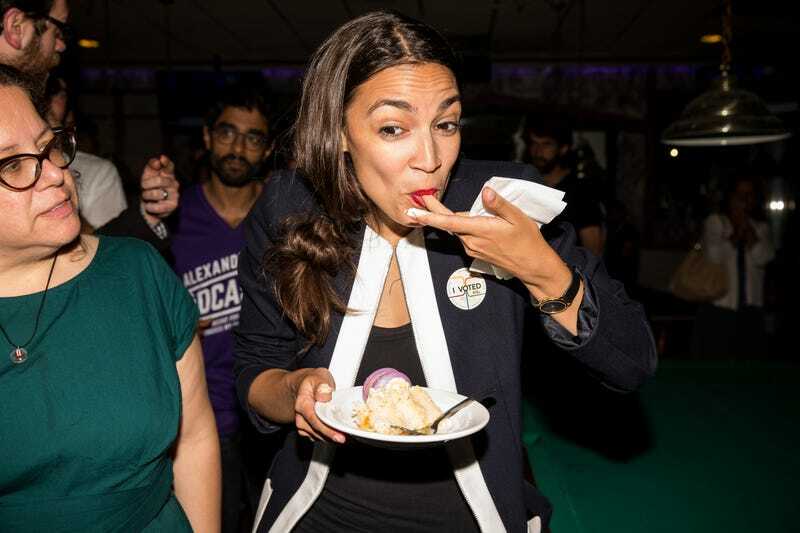 In case you’ve been out of town or away from the internet for the last 15 hours, allow me to inform you that 28-year-old Latina socialist Alexandria Ocasio-Ortez won the Democratic primary against Joe Crowley, a man many thought could go on to be the Democratic House speaker. More on that here. More on who she is and what her priorities will be while in office, here. For now though, I want to talk about that red lip. A perfectly toned, durable red lipstick (i.e., one that will not need to be re-applied every 30 minutes) is debatably the best accessory to every major life moment including–but not limited to–going to break up with your boyfriend, that meeting you have on the cal in which you’ll ask for the raise you deserve, or your victory party after OUSTING A PREVIOUSLY UNCHALLENGED 10-TERM INCUMBENT. Ocasio-Cortez evidently knew that, as she wore it extremely well last night, and this morning at interviews.